Once upon a time carpeting was very limited in the textures, patterns, and the colors that it had to offer. There was basic beige and that was pretty much it. Thankfully, like so many industries, the carpet industry has entered a new age of trendy patterns, color schemes, and textures. With this evolution in carpeting, we’re happy to say that at our flooring company, we’ve stayed 100 percent with the times. Not only do we have a variety of options to pick from at Zoltan European Floors, Inc., but we also have trendy choices that you can implement in your home. 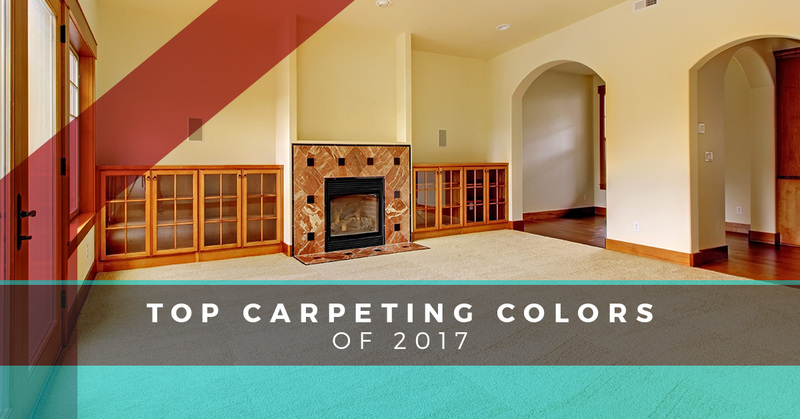 If you’re looking for a few new carpeting options for your home, then take the time to explore what we have to offer at Zoltan European Floors, Inc.
As we near the end of 2017, we’re excited to go over some trends of carpeting that were very popular this year. Keep in mind that even though we’re entering 2018, these trends will still be something that many people should implement in their home. First, these fun color schemes will add a focal point to the room and bring the room together depending on what you want to go for. Unlike earlier carpeting options, the ones you can find today vary in texture and pattern. Second, you can find a few carpeting alternatives that offer a more sculptured effect and a bolder expression in your home. If you’re tired of looking at the same old beige flooring in your home, then it’s time to make a change in your home. From extreme earthy tones to deeper, vibrant coloring, we’re ready to introduce you to some interesting options. The first color scheme we’re going to introduce to you is the earth tone. Earthy tones consist of mossy greens and a lush evergreen. It also can include more of a scarlet color or a deep brown like you’d find in fall. By incorporating these deeper, earthy tones, you’ll be able to have much more modern looking furniture in your rooms. Earthy tones also introduce a little of the outside into your home. If you and your family enjoy spending time outside, then earthy tones may be your best option for your home. Earthy tones can also be warmer and create a bold statement. While it’s a more functional scheme, it’s also one that will set your home apart. Do you like a pop of vibrant coloring in your home? Do you want a blush color or a berry tone in the living room? You can decide to have a more orchid color for your flooring or you can create an entire theme in a room that’s based on these vibrant colors. Whether you want to introduce a bold berry, orchid, magenta, scarlet, or a sparkling coral to your home, at our flooring company, we can offer you a variety of options when it comes to vibrant tones. In addition, purple is a great, calming tone to have in your home because of what it represents. Grey is a more modern neutral tone. Grey can be the go-to carpeting option for a lot of people because they feel comfortable around it. It’s a modern look and there are many different shades of grey that you can incorporate into your home when you decide on this color scheme. In addition, grey is a warmer color, and while it can be very popular, you’ll find that you can create your own look with it in your home. Grey is also a great option because it allows you to do anything you want in the room with the carpet. Essentially, it goes with everything. New neutral colors are flashes of color that are paired with beige, tan, and cream. These new neutrals can range with anything from soft green to shades of blue. It also includes pale yellow. If you want to keep to something you’re familiar with, then new neutrals are a great way to get out of your comfort zone and enjoy something that’s familiar. Blue is a great color choice because of how it pulls the room together. When it comes to pale yellow, it’s always a great option to make a room a bit more sunny no matter the time of the year. For more information on carpeting flooring, take the time to contact us today.